The Mother PAC has endorsed Chrissy Reitz for Senate District 26 because she will fight for the things that all families need. As a mother, former neonatal intensive care unit nurse, and a school board member, Chrissy understands what our families need. 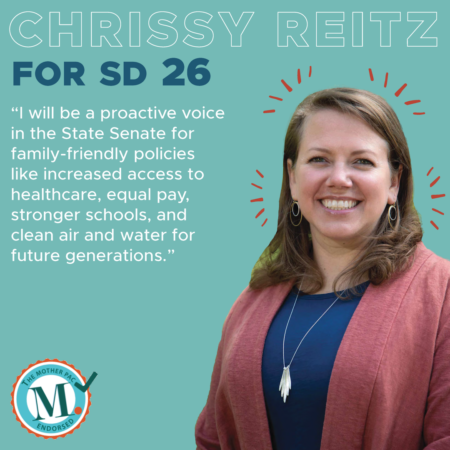 Vote for Chrissy Reitz for SD 26 before November 6th! Click here to find a ballot drop box near you. You can also support her campaign by talking with voters in your area about why you’re supporting Chrissy or by making a contribution directly to her campaign.